Many countries, like the U.S., Canada and the EU—including the U.K.—have passed legislation permitting the legal use of electronic signatures. However, not all electronic signature solutions are equal. DocuSign ensures the legality of electronic signatures by offering the most trusted, reliable and secure digital evidence of any electronic signature company. With presence in 188 countries, you can trust DocuSign meets statutes and regulations around the world, and leads the industry in compliance and enforceability. We provide the most authentication options, a comprehensive digital audit trail and bank-grade security. DocuSign was the first company to warrant compliance with the U.S. ESIGN Act, state laws modeled after 1999 UETA and certain key aspects of the UK Electronic Communication Act (2000). DocuSign is designed for global compliance with key components of the European Directive 1999/93 EC on a Community Framework for Electronic Signatures, including the UK Electronic Communication Act. DocuSign fully enforces consumer consent, unique signature adoption and signature process flow provisions. DocuSign meets specialized rules from the FDA, FTC FHA, IRS, FINRA, among many others. We provide extensive, configurable authentication options to verify the identities of your signers. DocuSign offers a court-admissible Certificate of Completion with a comprehensive digital audit trail to confirm the validity of your transactions. DocuSign utilizes industry leading encryption standards, retention and storage practices and data security, so you can count on the integrity of the data to support the legality of your transactions. While DocuSign has a successful history of providing customers with all the evidence they need to defend their documents against repudiation, DocuSign is available to assist our customers with legal challenges by testifying in court to support the validity of DocuSigned documents. Most eSignature providers meet the minimum requirements of eSignature statutes, but that is just the beginning. These statutes do not ensure your eSignature provider offers the tools to prove who signed what, or when and where they signed it. Nor do these statutes verify your eSignature provider maintains the integrity of your transaction. And these two areas, attribution and record integrity, are where DocuSign differs from other technologies. DocuSign offers best in class record integrity with unparalleled hashing and encryption standards, retention and storage practices and data security ensuring the document can only be accessed, read and executed by designated users. Our SHA-1 hashing technology verifies that a document has not been modified and enables you to verify the documents’ integrity. DocuSign also hashes internally to ensure each time a document is accessed, it has not been modified outside our controls. DocuSign’s digital signatures secure documents upon completion with a tamper-evident seal. DocuSign offers multiple geo-dispersed ISO 27001 and SSAE 16 certified datacenters providing leading security for the retention and security of you documents. All documents are encrypted using the AES-256 standard and 256-bit SSL document transmission to prevent tampering and ensure validity from the moment they enter our system. This ensures that only designated users have access to documents. No other digital transaction management company can match the security investments we’ve made. In fact, DocuSign is the only digital transaction management company that complies with the xDTM standard with a comprehensive bank-grade security program, is ISO 27001 certified across the entire company and internationally, along with other important US, EU, and global certifications. DocuSign takes customer privacy very seriously. We take all possible measures to protect your and your customers’ information. 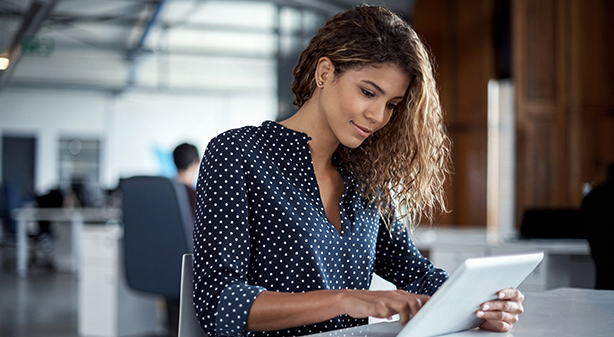 DocuSign ensures that no personally identifiable information (PII) is displayed to users via email or on our website without the recipient successfully identifying himself/herself through one or more of the authentication options. We ensure the privacy of your legal documents by encrypting them and enacting internal security policies to ensure no employee, even customer support, can view your sensitive documents. DocuSign plays a leading role in promoting Digital Transaction Management and eSignature regulation and policy. We’re on the board of the Electronic Signature and Records Association (ESRA) and chair its Public Policy Committee. And we actively advise Federal, State and Local governments on eSignature policy, helping to inform new legislation and regulations. Note: Please consult your legal advisor if you have any question regarding the legality of eSignature. Learn about e-signature laws and preferences around the world.